You. Me. 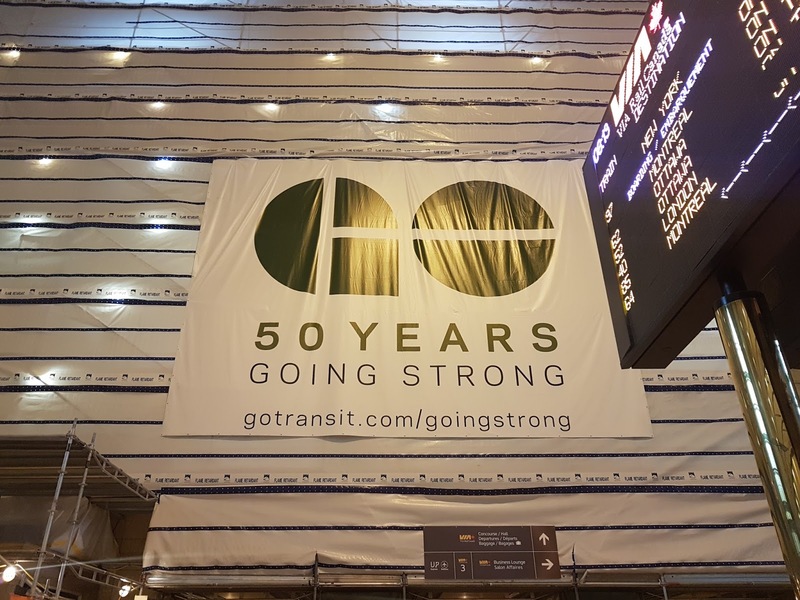 Ride This Crazy Train - Adventures and Observations on The GO: GO Transit turns 50. No need to advertise it. Looks like a bandaid to cover up the perpetual state of construction and repairs. Could they be slower on the Burlington station rebuild or Aldershot escalator repairs? would love to know how much they spent on this campaign and website - ridiculous! Who cares?? Skinman: the pedestrian bridge at Ajax. That is 3 years and counting. They mean it as a tribute to their longevity. But age could also "be catching up with them". Like they've been around so long they've gotten bored with themselves and become weary of all the rituals of maintaining their systems. Everything's long become so routine there hasn't for the longest time been the heart and soul or enthusiasm that a young upstart outfit feels when it's first starting out. 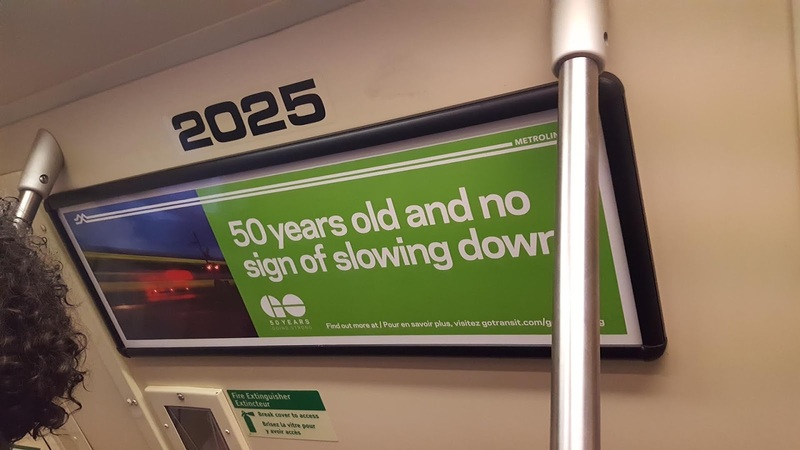 GO Transit has long been stale and just goes through its routine charades more out of tradition than sincerity and passion. just wait till you see what they have in store with the current refurb of one of their original trains. To be fair, escalators are being taken out as they are too expensive to fix and there are elevators there.